Two stoneware cups, each with a rounded, U-shaped body that tapers out gently towards the rim and is supported on a short, tapered foot. 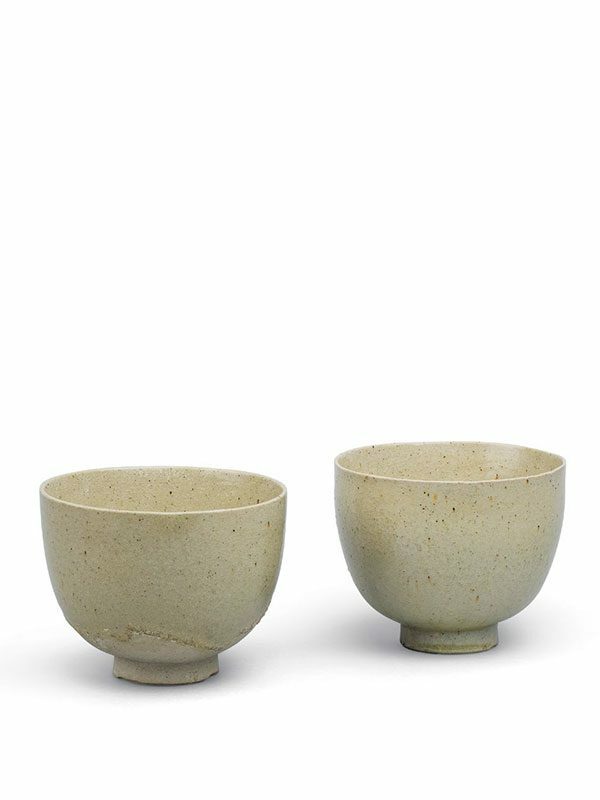 The thinly potted cup is entirely unadorned and covered in a finely crackled, transparent yellowish-green glaze that has iron-oxide marks. Three spur-marks are visible on the inside of each bowl as well as on the foot, indicating that they were stacked for firing. On one cup, the glaze stops well short of the base in a wavy line, whilst on the other it extends over the foot unto the base. Where the material is unglazed, it exposes the finely grained stoneware body.